Following six months of discussion and review, the Federal Trade Commission has filed a complaint in opposition to the IDT and PLX merger. The FTC concern is that a combination of the two largest manufacturers of PCIe (Peripheral Component Interconnect Express) chips would control over 85% of the current $100M market. Their opinion is the merger would hinder growth and competition in this technology, and lead to higher prices overall for PCIe chips. IDT has disagreed with the FTC position, saying that the joint knowledge and patents from both companies would bring about faster innovation cycles and reduce costs. Ted Tewksbury, president and chief executive officer of IDT commented, “We are disappointed by the FTC’s decision to seek to enjoin the transaction”. 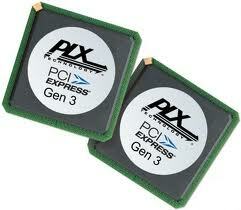 The initial purchase offer from IDT to acquire PLX for $330M in cash is scheduled to expire on January 31, 2013. It was expected that with this recent anti-trust filing, IDT will terminate the proposed acquisition citing the regulatory challenge. Given the high cost of further litigation, and the uncertainty of a favorable outcome, neither IDT nor PLX is willing to continue pursing the merger. For developers, this means for PCIe devices there will continue to be two major suppliers, IDT and PLX, and a number of others trying to gain a competitive advantage, such as Pericom and Maxim.